This entry was posted on March 27, 2019 by Amberley Publishing. One morning in Budapest during the autumn of 1944, an unknown official in charge of deporting Hungarian Jews sent back all the women accompanied by children. My Mother, Leona Grunwald, was one of those women and I was a tiny baby in her arms. I have no means of knowing who that official was and what his motives were for what he did. I cannot know his name or his fate, but it is chilling to think that but for his actions I might have been murdered before I was aware of life. I would have become one of the 1.5 million Jewish children murdered in the Holocaust – what lives would they have had and what could those children have achieved? My Father, Philipp Grunwald, was taken away by the Hungarian Fascists in 1943 and like all the other Hungarian Jewish men sent to the Russian front had a truly dreadful time. 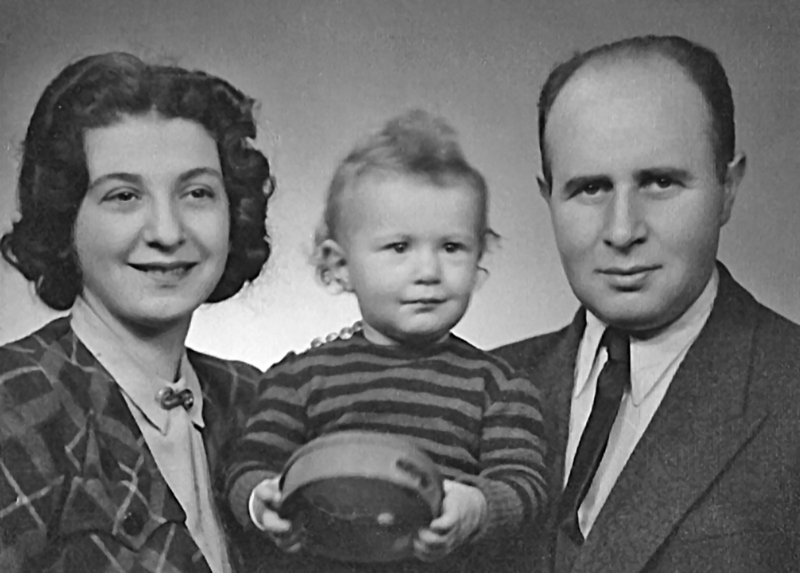 Unlike many, he came back to Budapest in March 1945 and saw me for the first time – I was nine months old. My parents managed to leave Hungary in 1946 and we arrived in England in May 1947. My Father was very embittered and wouldn’t have more children – he said it wasn’t a world to bring children into. In 1955 when his business failed, he committed suicide – I was 10. I have lived with these facts all my adult life and knowing the impact of the Holocaust on our lives I tended to avoid the subject. If something came up on the TV I turned it off and I deliberately avoided reading about it. The only time I deviated was during the Eichmann Trial in 1961 when I was 17. I came home from school every day to read the detailed reports in the newspaper. However, I have no recollection of discussing it with my Mother, but we may have done. This continued until 1995 when Sheffield City Council brought the Anne Frank Exhibition to Sheffield. I volunteered to represent the Jewish community on the committee and as a result of my new contacts heard that an MA in Holocaust Studies was being set up at Sheffield University. After some thought I decided to do it and signed up in September 1996. One of my reasons was my three sons who were then 17, 14 and 11. I wanted them to know my history because it was their’s too and I needed to be able to answer their questions. They appeared to be ordinary Englishmen but, of course, they were not. I wrote a dissertation about the rescuer Varian Fry. He was not the stuff of which heroes are traditionally made. Yet he was for many years the only American recognised as a ‘Righteous Among the Nations’ – he chose to involve himself in another continent’s woes. He crossed the Atlantic Ocean to become embroiled in Europe’s horrors. He was an unassuming man who after the fall of France in June 1940, offered to go to Vichy France, to rescue refugees for the Emergency Rescue Committee (ERC). He only offered to go if nobody else could be found, and he went because nobody else was found. He was meant to rescue 200 artists and writers on a list produced by the ERC, using visas obtained by President Roosevelt’s wife Eleanor. In the end he probably saved about 4,000 refugees. This research left me with a keen interest in the motivation of rescuers and why they took considerable risks to save people they often did not know. For the growing good of the world is partly dependent on unhistoric acts; and that things are not so ill with you and me as they might have been, is half owing to the number who lived faithfully a hidden life, and rest in unvisited tombs. I wanted to ensure that some of those in unvisited tombs became well known and their occupants were honoured for their courage – that’s why I wrote my book The Other Schindlers. It was published in 2010 when I was 65 and did remarkably well selling 13,000+ copies world-wide. A year or two later I discovered I really missed both the research and the writing. I had done research before and knew I liked it, however I had not expected to enjoy the process of writing so much. So I started looking at the people who had betrayed the Jews – there was no shortage of material. Four years later I had produced a 640 page volume which was published in January 2016 and is now available in paperback in the US. 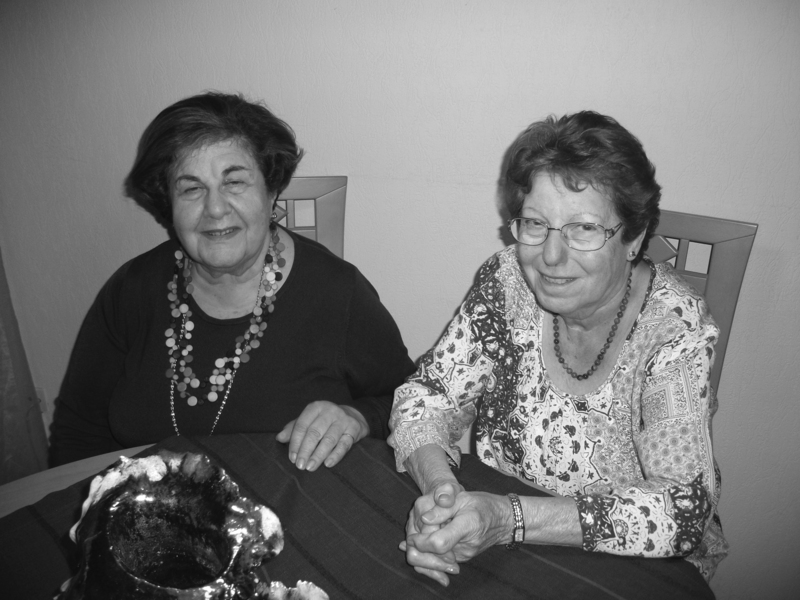 I had long thought about women’s experiences in the Holocaust particularly in the light of my mother’s struggles having me during the Holocaust. A new publisher wanted to commission a book and when I suggested this, they were very keen. We agreed that I would use women’s own diaries, letters, memoirs, books and also some interviews. I found some amazing women with remarkable stories. Unfortunately, again I had too much material so some women had to be left out. This book was published in the UK in January 2018 and is now available in the US too. I haven’t made my fortune from these books (well not yet) but I didn’t write them for the money. However I received an MBE from the Queen for being a Trustee for the Holocaust Memorial Day Trust and my work on ‘Holocaust awareness’ in 2016. On 12 January 2018 I received an Honorary Doctor of Letters from Sheffield University for my work on the Holocaust and received an Honorary Doctor of Arts from Oxford Brookes University on 22 June 2018. However my real reward is knowing that I am telling people the truth about the horrors of the Holocaust. 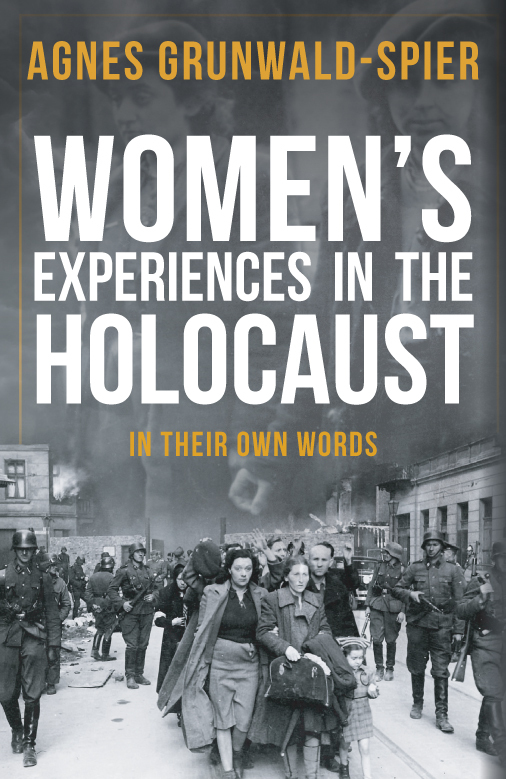 Agnes Grunwald-Spier's new paperback edition of Women's Experiences in the Holocaust is available for purchase now. George Eliot, Middlemarch, (London: Penguin, 1994) p.838.